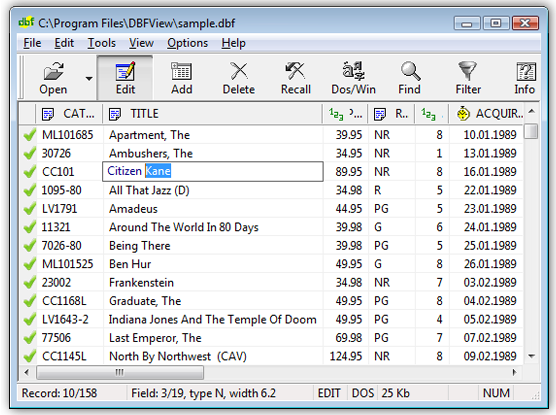 Conversion Dbt To Excel Format : DBF Viewer, DBF Editor, DBF Conversion Dbt To Excel Format DBFView is a compact but powerful tool for opening, viewing, editing, converting and printing DBF databases. 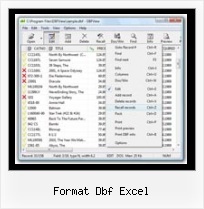 Dbf Format Software XLS (Excel) to DBF allows you to convert your XLS files to DBF format. It is very simple to use. You can select tables for export and set necessary options.